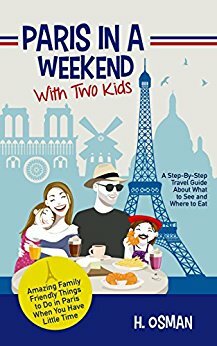 *Paris in a Weekend with Two Kids: A Step-By-Step Travel Guide About What to See and Where to Eat (Amazing Family-Friendly Things to do in Paris When You Have Little Time) (Deal, Not Free) by H. Osman. Price: $0.99. Genre: Nonfiction Book Deal, Sponsor, Family Travel, Step by Step Travel Guide to Paris. Rated: 4.6 stars on 3 Reviews. 64 pages. ASIN: B07BS4P4QC. *In Every Place by Kim L. Abernethy. Price: Free. Genre: Biographies & Memoirs, Travel, Sports & Outdoor, Adventurers & Explorers. Rated: 4.9 stars on 39 Reviews. 225 pages. ASIN: B007X5V32Y. *Tiny House Living 2-in-1 Bundle: RV Living & Shipping Container Homes by Bill Oatfield. Price: Free. Genre: Nonfiction, Travel, Food, Lodging & Transportation, Parks & Campgrounds. Rated: 4.7 stars on 14 Reviews. 276 pages. ASIN: B07BHJXXM9. Posted on April 5, 2018 Author KibetCategories Free Travel Kindle Books, memoir, TravelersLeave a comment on Kindle Travel Deals for Wednesday!